What Can We Do to Change Your Situation? The William Tipper Thomas Foundation, Inc. is a non-profit organization designed to facilitate solution finding and advocacy programs; promote and facilitate Science, Technology, Engineering & Mathematics (STEM) education; violence prevention programming; philanthropic endeavors; and humanitarian initiatives to promote community empowerment and prevent social decay. Read more about our mission. The foundation is named after William “Tipper” Thomas. Tipper survived a traumatic shooting at his high school in 2004 during his senior year. Because of the support of his family he was able to recover, graduate high school on time, complete college at Morgan State University, and become an Electrical Engineer. Learn more about Tipper. 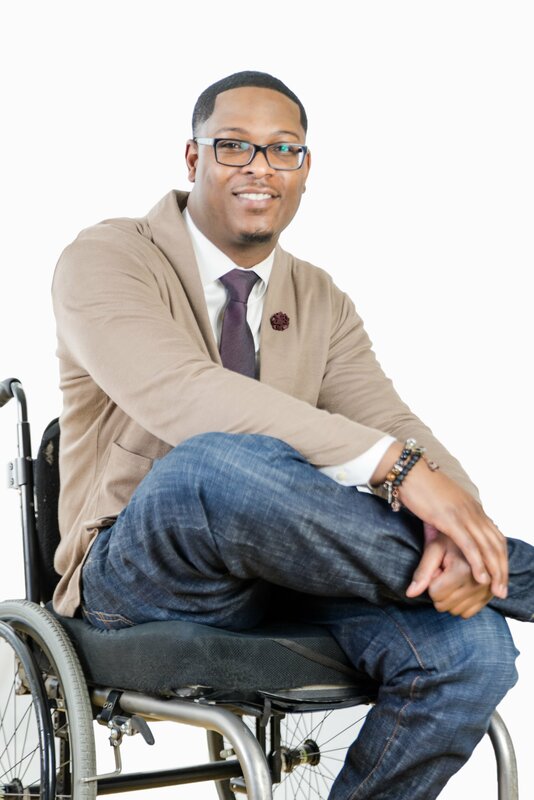 Tipper is an inspirational speaker that travels the world speaking to various audiences about the importance of having dedicated care for the injured, advocating against violence, promoting STEM education, overcoming obstacles and life after a trauma. Book Tipper to speak at your next event. The William Tipper Thomas Foundation, Inc. needs your help to raise funds to assist with key initiatives that will be used to make life better for someone else. We appreciate your support. Please donate and support our cause.